Lathem's LTR-GPS is a Global Positioning Satellite receiver using 12-channels to access the accurate date and time signal transmitted each second by 24 satellites in orbit around the globe. The system includes an amplified exterior GPS antenna. An integrated cable links the antenna to an interior receiver module which retransmits the signal to selected Lathem devices. Configuration options include Local Time Zone, Daylight Savings Time option, and desired output format. LED's indicate signal reception and protocol mode. 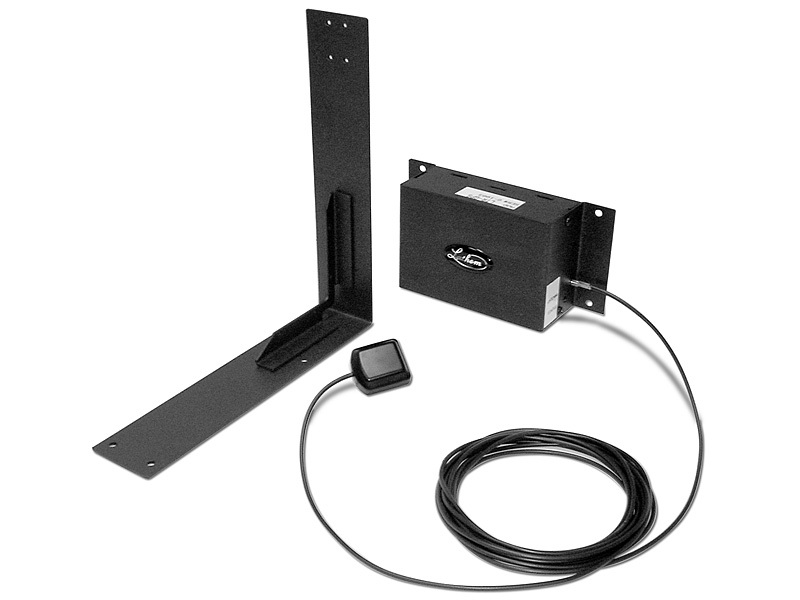 The LTR-GPS can be remotely powered from an LTR-512 Series Master Clock, using a second cable pair, if the distance is less than 200 feet. Otherwise, power is supplied locally by a 9VAC power adapter (included).